The Qualification Europe for the 2013 Women's World Championship throws off on October 3 with six matches overall in Group 3 and Group 4. In Group 3 Belarus will play Lithuania on October 3. Italy play Poland on October 4 and Lithuania on October 7. Poland take on Belarus also on October 7. In Group 4 Turkey play Azerbaijan on October 3. Portugal then play Turkey on October 6. All matches are part of phase 1 of the Women's World Championship Qualification Europe. This phase will be played in four groups: three with four teams and one with three teams. The winner of each group will go through to the play-offs, where they will join 12 of the 14 teams already qualified for the World Championship play-offs. The top two teams ranked at the EHF EURO 2012 will join Serbia as hosts and Norway as reigning champions qualifying directly for the event. Group 1 and Group 2 will be played in a tournament format while Group 3 and Group 4 are played in a home and away format. A complete overview of all groups and matches can be found on the eurohandball.com here. 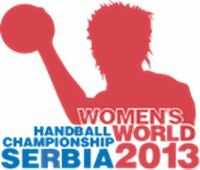 The Women's World Championship will take place from 7 to 22 December 2013 in Serbia.